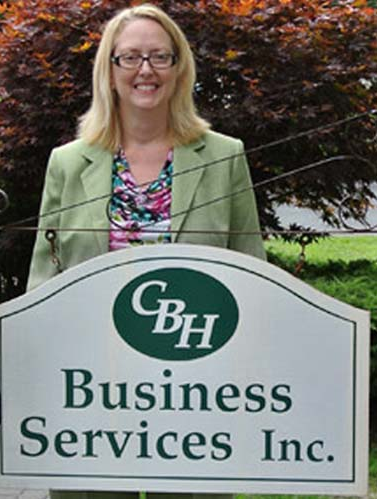 CBH Business Services, Inc. has developed a number of areas of expertise to assist you with all of your Accounting & Bookkeeping needs. These services can be custom tailored to your company’s specific requirements. Using Quickbooks and Peachtree software, we are able to provide everything from data entry to bank reconciliations to full blown financial reports designed to assist you in the successful management of your business. CBH Business Services, Inc. offers both individual and business tax return preparation services. We work with the IRS through continuing education to stay up to date on changes in the tax laws. We communicate with our clients when a tax law change may impact them. We provide guidance based on your tax situation. We also represent our clients before the IRS when they receive notices. At CBH Business Services, Inc., we pride ourselves on giving you, our clients, the best quality of service, at a competitive cost. Our skilled associates are able to assist you on site or off site with the training and implementation of accounting software. We will assist you in selecting which software best fits the special needs of your business. An account specialist can train you and your employees how to use the software in a manner that will be most effective for your needs. CBH Business Services has made it possible for me to concentrate on the aspects of business that I’m good at and enjoy doing. They’ve accomplished this by helping me better manage one of the most critical areas of business, finance. Like most small business owners, I wear many hats. Of all of the hats that must be worn, the financial hat consumed a disproportionate amount of my time. Tracking expenses, accounts receivable, payables and dealing with the myriad of forms required to conform to state and federal regulations was overwhelming and kept me from helping my customers with their needs. CBH helped me take control of finance, resulting in an improved bottom line for myself and that of my customers. I now have the tools I need to run more efficiently and to recognize problems before they run me over. My 17 year association with CBH has made me more productive and has significantly improved upon the level customer care I can provide. A winning combination that plays a big part in the continued success of our family of businesses.